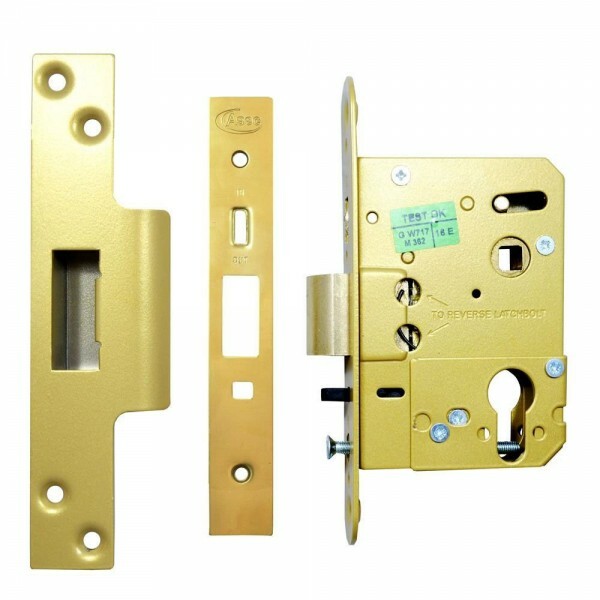 Ideal for use with access control systems. Steel case with conversion plate to convert euro or oval profile cylinder use. Suits oval or euro profile cylinders. Reversible latchbolt. With anti-thrust bolt. Centre 48mm. 10 year guarantee. 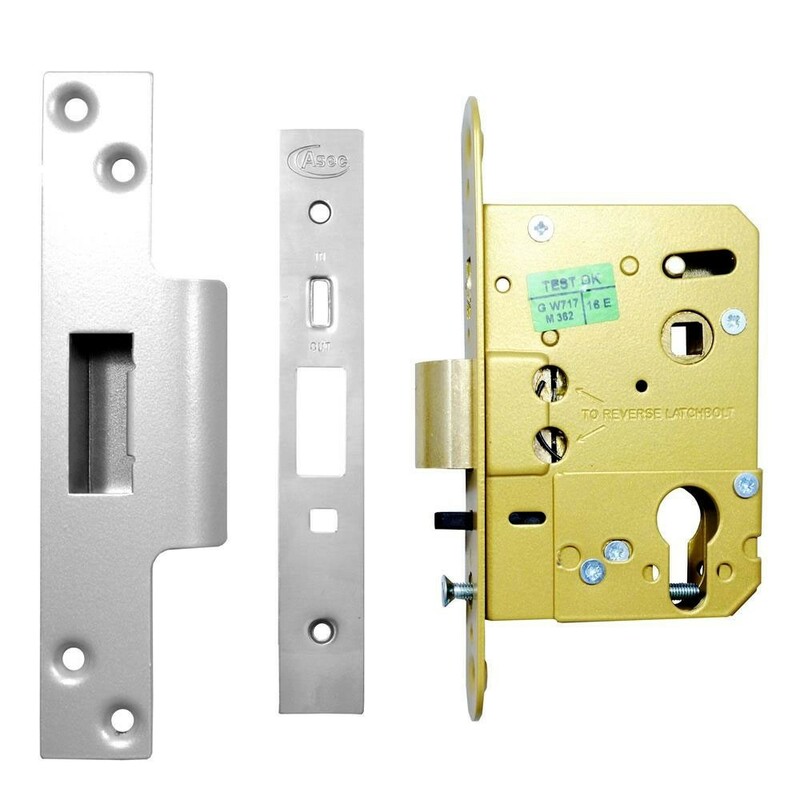 Latchbolt is withdrawn by single euro or oval profile cylinder from outside & lever handle inside. Door is automatically deadlocked when closed. Gold case finish with Polished Brass or Stainless Steel forend. Bolt clan be held back by knurled wheel in forend.